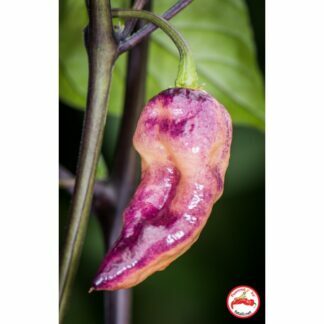 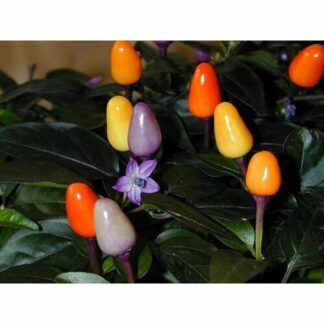 Very, very pretty ornamental pepper which can be used for cooking as a medium hot powder. 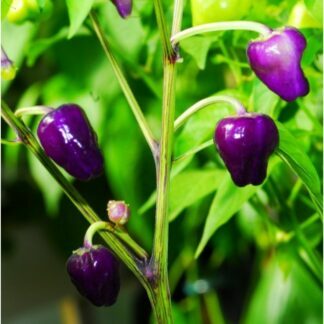 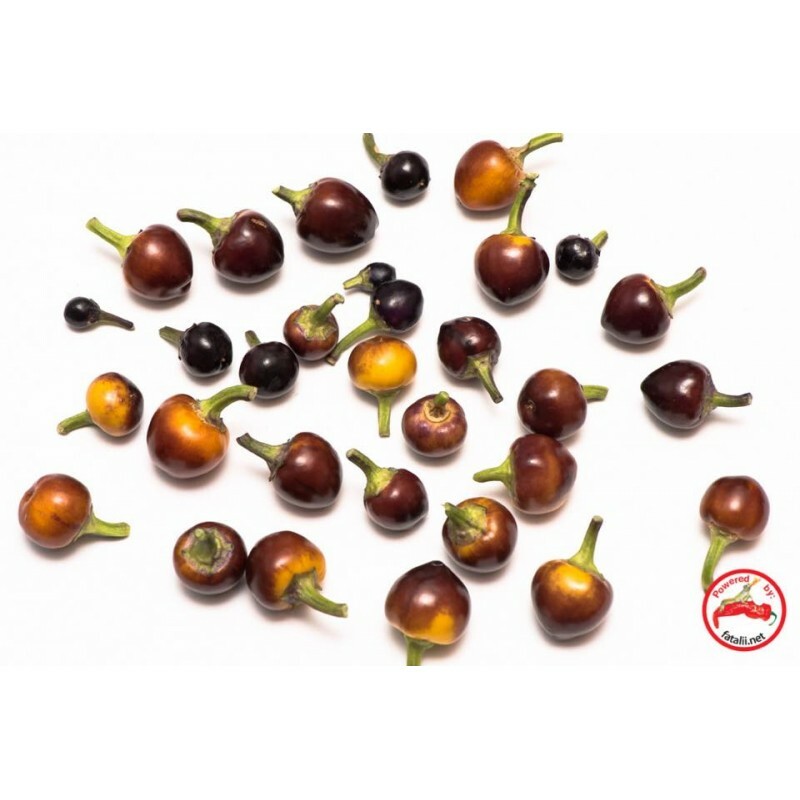 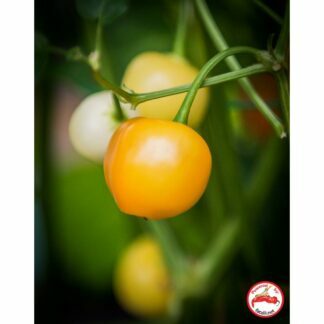 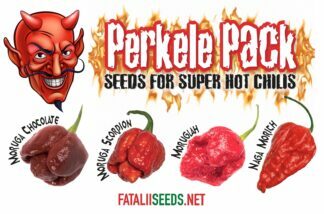 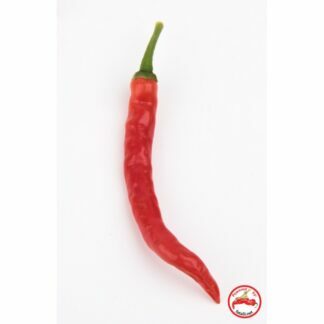 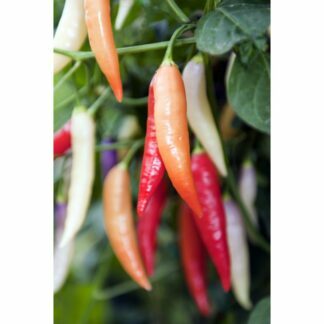 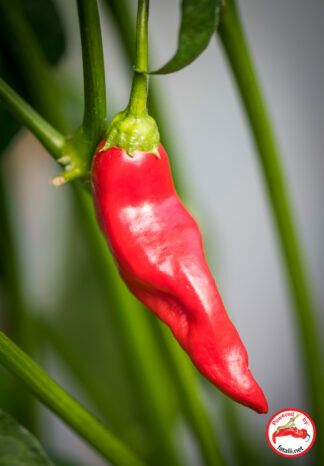 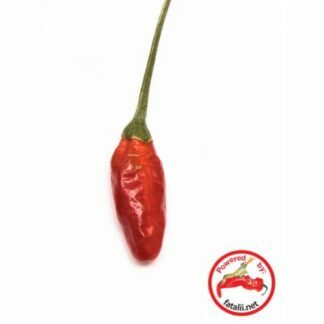 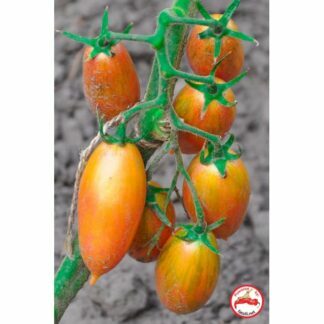 The plant is very compact and the stems can grow quite big which makes it especially ideal for bonsai chile pepper growing. The pods mature from dark purple/black to yellow/purple/brown. 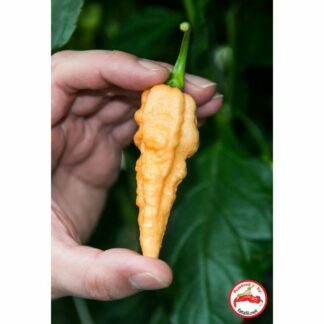 Very odd final color. 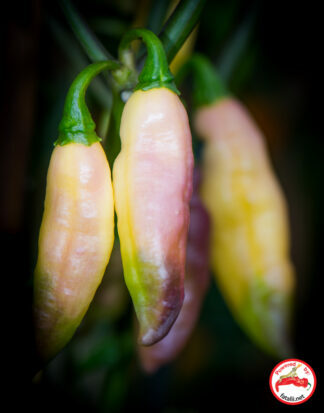 absolutely great looking these pods are ripening on a pretty plant.